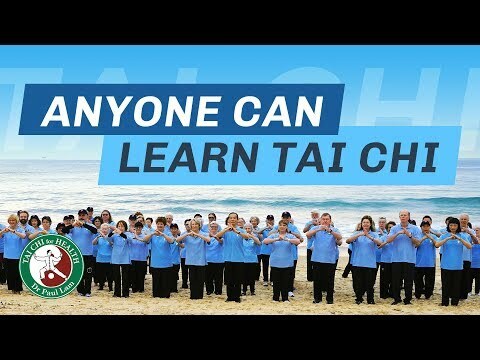 DR PAUL LAM TAI CHI FOR HEALTH INSTITUTE (hereafter TCHI) seeks to inform, teach and encourage people around the world to understand and appreciate the positive life style benefits that Tai Chi for Health programs offer. 2.2 Maintain a common base of standards for the safe and effective teaching and practicing of Tai Chi for Health programs. 2.3 Enhance the unity of the conduct of TCHI members. TCHI members who are instructors and leaders take personal responsibility for ensuring that their conduct adheres to the high standards established in global health communities. The universal standards of “first do no harm” and “all persons are treated with dignity and respect” are paramount in the practice of teaching and are specifically incorporated into these standards; and in addition instructors and leaders take steps to meet the standards of practice set by the Institute. 4.1 Prepare and teach their tai chi for health classes within the guidelines of the safe and effective teaching system they have been trained to use. 4.2 Continue their personal development as a means to maintain and improve skills, knowledge and professional conduct. 4.7 Respect personal and confidential information disclosed by participants. 4.8 Be aware of the limits of their skills, experience and knowledge. 4.9 Consult with mentors and knowledgeable professionals when such consultations are needed. 5.1 Speak positively and kindly of other instructors. 5.2 Respect personal boundaries and established relationships between instructors and their students. Offer guidance to a colleague if asked, especially by one who is less experienced. 5.3 Provide accurate descriptions of their certifications and related qualifications. 5.4 Provide honesty in all advertising and promotional materials. 5.5 Participate proactively in opportunities of collaborating with colleagues to promote the TCHI and Tai Chi for health programs. 6.4 Recruiting new members to the organization. TCHI is committed to reviewing this Code in the light of experience and on a regular basis with the aim of improving both the process and the outcomes from it. The Code is to be reviewed at least every two years and also in the light of experience, best practice or significant change. All aspects of this Code shall be open to review at any time. This document is dated February 21, 2010. This Document shall stay in force until any modifications are formally agreed to by TCHI and a new version issued. Code of Ethics: Standards of conduct established by an organization representing professions that apply to individuals in their professional capacity. Cross- cultural approach: Based on the golden rule of treating everyone with dignity and respect, instructors and leaders strive for cross cultural understanding in an effort to provide safe and effective Tai Chi for Health programs globally. Diversity: Conscious practices that involve: Respecting the views and beliefs of others in regard to gender, ethnic origins, religion, culture, sexuality, lifestyle, age and social status. Instructors and Leaders: Persons trained and certified to teach Tai Chi for Health programs. The titles hold equal status. Standards of Practice: A minimum level of performance one is required to demonstrate in the achievement of a specific task or skill.